We're a small library and you may want materials we do not own. 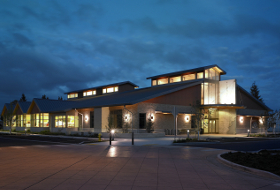 One solution is to borrow the item you want, temporarily, from other libraries nationwide. This is called "interlibrary loan." 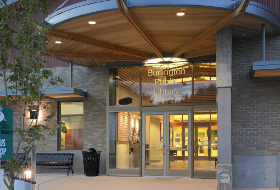 Burlington Public Library resident and non-resident (dues paying) cardholders may request materials to be borrowed through interlibrary loan. 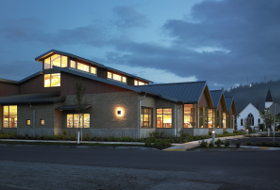 Reciprocal cardholders must use their home libraries to borrow materials through the interlibrary loan service. Our interlibrary loan coordinator uses an online database to identify other libraries in the country who would be willing to loan us the item. It can take up to two weeks for us to receive the item for you. Because we are a small library this resource sharing service is very important to us. Please return items on time and good condition. This will assure future service from other sharing libraries, which is especially important in these budget crunching times. If requesting books for information, you want to check with info desk staff to make sure there isn't another resource for your information. In some cases, we may be able to extend the check-out period for you if you need more time. 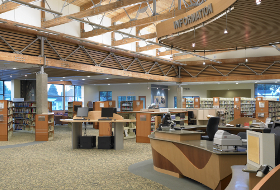 Please contact our interlibrary loan coordinator at 360-755-0760 to discuss item renewal. To initiate an interlibrary loan request stop by the library and complete a materials request form. You may also complete the Interlibrary Loan Request Form online. Please provide at least two ways we can reach you to discuss your request or to let you know when it arrives.